Catherine Linard graduated in Geographical Sciences at the Université catholique de Louvain (UCL, Belgium) in 2005. She completed her PhD thesis on spatial and integrated modelling of complex disease systems at the Department of Geography of the UCL in January 2009 and was then visiting researcher for 4 months at the Department of Zoology (TALA Research Group), University of Oxford. She was then a post-doctoral fellow of the Wiener-Anspach Foundation for two years at the Department of Zoology of the University of Oxford, followed by four years (2011-2015) as post-doctoral fellow of the “Fonds National de la Recherche Scientifique” (FNRS, Brussels, Belgium) at the ULB. She is now sharing her time between an half-time academic position at the department of Geography of the University of Namur and a half-time researcher position at the ULB. Catherine is interested in integrated approaches to spatial issues in epidemiology. She combines different methods and tools (e.g. Geographical Information Systems, spatial statistics and models, high resolution remote sensing) for a spatial and integrated approach to various disease systems, especially vector-borne and zoonotic diseases (e.g. malaria, dengue, avian influenza). 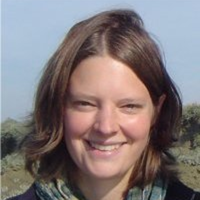 Her current research activities focus on human population distribution predictions, urban expansion models for Africa and the impact of population distribution changes on health and vulnerability. She also produces and updates high-resolution population distribution maps for African countries (WorldPop project: www.worldpop.org.uk). M. U. G. Kraemer, R. C. Reiner, O. J. Brady, J. P. Messina, M. Gilbert, D. M. Pigott, D. Yi, K. Johnson, L. Earl, L. B. Marczak, S. Shirude, N. D. Weaver, D. Bisanzio, T. A. Perkins, S. Lai, X. Lu, P. Jones, G. E. Coelho, R. G. Carvalho, W. V. Bortel, C. Marsboom, G. Hendrickx, F. Schaffner, C. G. Moore, H. H. Nax, L. Bengtsson, E. Wetter, A. J. Tatem, J. S. Brownstein, D. L. Smith, L. Lambrechts, S. Cauchemez, C. Linard, N. R. Faria, O. G. Pybus, T. W. Scott, Q. Liu, H. Yu, G. R. W. Wint, S. I. Hay, and N. Golding. "Nature Microbiology", Pages 1, 2019. Y. Forget, C. Linard, and M. Gilbert. "Remote Sensing", Vol. 10, Issue 7, Pages 1145, 2018. C. W. Kabaria, M. Gilbert, A. M. Noor, R. W. Snow, and C. Linard. "Malaria Journal", Vol. 16, Pages 49, 2017. C. Linard, C. W. Kabaria, M. Gilbert, A. J. Tatem, A. E. Gaughan, F. R. Stevens, A. Sorichetta, A. M. Noor, and R. W. Snow. "International Journal of Digital Earth", Vol. 0, Issue 0, Pages 1-13, 2017. W. Thanapongtharm, C. Linard, P. Chinson, S. Kasemsuwan, M. Visser, A. E. Gaughan, M. Epprech, T. P. Robinson, and M. Gilbert. "BMC Veterinary Research", Vol. 12, Issue 1, 2016. M. S. Dhingra, J. Artois, T. P. Robinson, C. Linard, C. Chaiban, I. Xenarios, R. Engler, R. Liechti, D. Kuznetsov, X. Xiao, S. V. Dobschuetz, F. Claes, S. H. Newman, G. Dauphin, and M. Gilbert. "eLife", Vol. 5, Pages e19571, 2016. J. Artois, S. H. Newman, M. S. Dhingra, C. Chaiban, C. Linard, G. Cattoli, I. Monne, A. Fusaro, I. Xenarios, R. Engler, R. Liechti, D. Kuznetsov, T. L. Pham, T. Nguyen, V. D. Pham, D. Castellan, S. Von Dobschuetz, F. Claes, G. Dauphin, K. Inui, and M. Gilbert. "Scientific Reports", Vol. 6, Pages 30316, 2016. C. W. Kabaria, F. Molteni, R. Mandike, F. Chacky, A. M. Noor, R. W. Snow, and C. Linard. "International Journal of Health Geographics", Vol. 15, Issue 1, 2016. A. E. Gaughan, F. R. Stevens, Z. Huang, J. J. Nieves, A. Sorichetta, S. Lai, X. Ye, C. Linard, G. M. Hornby, S. I. Hay, H. Yu, and A. J. Tatem. "Scientific Data", Vol. 3, Pages 160005, 2016. W. Thanapongtharm, C. Linard, W. Wiriyarat, P. Chinsorn, B. Kanchanasaka, X. Xiao, C. Biradar, R. G. Wallace, and M. Gilbert. "BMC Veterinary Research", Vol. 11, Issue 1, 2015. J. Deleu, J. Franke, M. Gebreslasie, and C. Linard. "Geospatial Health", Vol. 10, Issue 2, 2015. A. E. Gaughan, F. R. Stevens, C. Linard, N. N. Patel, and A. J. Tatem. "International Journal of Digital Earth", Vol. 8, Issue 12, Pages 989-1006, 2015. A. Sorichetta, G. M. Hornby, F. R. Stevens, A. E. Gaughan, C. Linard, and A. J. Tatem. "Scientific Data", Vol. 2, Pages 150045, 2015. F. R. Stevens, A. E. Gaughan, C. Linard, and A. J. Tatem. "PLOS ONE", Vol. 10, Issue 2, Pages e0107042, 2015. P. Deville, C. Linard, S. Martin, M. Gilbert, F. R. Stevens, A. E. Gaughan, V. D. Blondel, and A. J. Tatem. "Proceedings of the National Academy of Sciences", Vol. 111, Issue 45, Pages 15888-15893, 2014. W. Thanapongtharm, C. Linard, N. Pamaranon, S. Kawkalong, T. Noimoh, K. Chanachai, T. Parakgamawongsa, and M. Gilbert. "BMC veterinary research", Vol. 10, Pages 174, 2014. M. S. Dhingra, R. Dissanayake, A. B. Negi, M. Oberoi, D. Castellan, M. Thrusfield, C. Linard, and M. Gilbert. "Spatial and Spatio-temporal Epidemiology", Vol. 11, Pages 45-57, 2014. M. Gilbert, N. Golding, H. Zhou, G. R. W. Wint, T. P. Robinson, A. J. Tatem, S. Lai, S. Zhou, H. Jiang, D. Guo, Z. Huang, J. P. Messina, X. Xiao, C. Linard, T. P. Van Boeckel, V. Martin, S. Bhatt, P. W. Gething, J. J. Farrar, S. I. Hay, and H. Yu. "Nature Communications", Vol. 5, Pages 4116, 2014. T. P. Van Boeckel, M. J. Tildesley, C. Linard, J. Halloy, M. J. Keeling, and M. Gilbert. Millennium development health metrics: where do Africa’s children and women of childbearing age live? A. J. Tatem, A. J. Garcia, R. W. Snow, A. M. Noor, A. E. Gaughan, M. Gilbert, and C. Linard. "Population health metrics", Vol. 11, Issue 1, Pages 1, 2013. A. J. Tatem, A. E. Gaughan, F. R. Stevens, N. N. Patel, P. Jia, A. Pandey, and C. Linard. "The Lancet", Vol. 381, Pages S142, 2013. C. Linard, A. J. Tatem, and M. Gilbert. "Applied Geography", Vol. 44, Pages 23-32, 2013. H. Keune, C. Kretsch, G. De Blust, M. Gilbert, L. Flandroy, K. Van den Berge, V. Versteirt, T. Hartig, L. De Keersmaecker, H. Eggermont, D. Brosens, J. Dessein, S. Vanwambeke, A. H. Prieur-Richard, H. Wittmer, A. Van Herzele, C. Linard, P. Martens, E. Mathijs, I. Simoens, P. Van Damme, F. Volckaert, P. Heyman, and T. Bauler. "Environmental Research Letters", Vol. 8, Issue 2, Pages 025015, 2013. A. E. Gaughan, F. R. Stevens, C. Linard, P. Jia, and A. J. Tatem. "PLoS ONE", Vol. 8, Issue 2, Pages e55882, 2013. C. Linard, M. Gilbert, R. W. Snow, A. M. Noor, and A. J. Tatem. "PLoS ONE", Vol. 7, Issue 2, Pages e31743, 2012. A. J. Tatem, S. Adamo, N. Bharti, C. R. Burgert, M. Castro, A. Dorelien, G. Fink, C. Linard, M. John, L. Montana, and others. "Population health metrics", Vol. 10, Issue 1, Pages 1, 2012. R. M. Houben, T. P. Van Boeckel, V. Mwinuka, P. Mzumara, K. Branson, C. Linard, F. Chimbwandira, N. French, J. R. Glynn, and A. C. Crampin. "International journal of health geographics", Vol. 11, Issue 1, Pages 1, 2012. C. Linard, and A. J. Tatem. "International Journal of Health Geographics", Vol. 11, Issue 1, Pages 7, 2012. C. Linard, M. Gilbert, and A. J. Tatem. "GeoJournal", Vol. 76, Issue 5, Pages 525-538, 2011. A. Tatem, and C. Linard. "Nature", Vol. 474, Issue 7349, Pages 36, 2011. The effects of spatial population dataset choice on estimates of population at risk of disease. A. J. Tatem, N. Campiz, P. W. Gething, R. W. Snow, and C. Linard. "Population Health Metrics", Vol. 9, Issue 1, Pages 1, 2011. E. F. Lambin, A. Tran, S. O. Vanwambeke, C. Linard, and V. Soti. "International Journal of Health Geographics", Vol. 9, Issue 1, Pages 54, 2010. A high resolution spatial population database of Somalia for disease risk mapping. C. Linard, V. A. Alegana, A. M. Noor, R. W. Snow, and A. J. Tatem. "International journal of health geographics", Vol. 9, Issue 1, Pages 1, 2010. C. Linard, N. Ponçon, D. Fontenille, and E. F. Lambin. "Ecological Modelling", Vol. 220, Issue 2, Pages 160-174, 2009. "EcoHealth", Vol. 6, Issue 1, Pages 135-147, 2009. A. Tran, N. Ponçon, C. Toty, C. Linard, H. Guis, J.-B. Ferré, D. Lo Seen, F. Roger, S. de la Rocque, D. Fontenille, and T. Baldet. "International Journal of Health Geographics", Vol. 7, Issue 1, Pages 9, 2008. K. Tersago, A. Schreurs, C. Linard, R. Verhagen, S. Van Dongen, and H. Leirs. "Vector-Borne and Zoonotic Diseases", Vol. 8, Issue 2, Pages 235-244, 2008. C. Linard, K. Tersago, H. Leirs, and E. F. Lambin. "International Journal of Health Geographics", Vol. 6, Issue 1, Pages 55, 2007. C. Linard, P. Lamarque, P. Heyman, G. Ducoffre, V. Luyasu, K. Tersago, S. O. Vanwambeke, and E. F. Lambin. "International Journal of Health Geographics", Vol. 6, Issue 1, Pages 15, 2007.